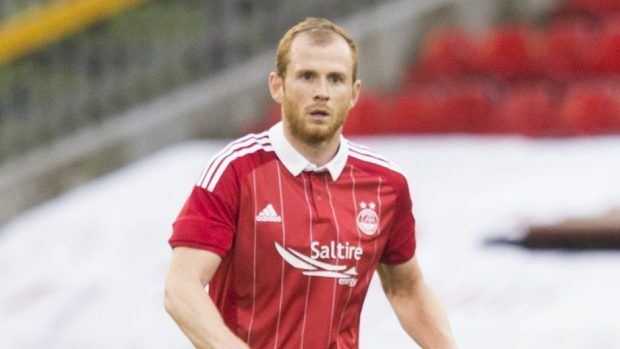 Aberdeen defender Mark Reynolds hopes 2017 can bring a return to the consistency of recent seasons for the Dons. Celtic’s march towards another league title seems a formality with the champions enjoying a 19-point lead at the top of the Scottish Premiership but the race for second place is heating up. Derek McInnes’ Reds ended 2016 with three wins in a row to move to within two points of second-placed Rangers with a game in hand and Reynolds knows his players will have to continue their winning run after the winter break if they are to pip Mark Warburton’s side. He said: “We need to get the level of consistency we showed last season and then add to it again. “We fell short last season when we fell away at the end of the campaign, so we need to step it up further, we know that. “That’s what keeps us hungry, keeps us working hard on the training field. After the 2-1 loss away to 10-man Ross County, McInnes reverted to his tried and trusted outfield players who served him so well last season for the final three games of 2016 and was rewarded with wins against Motherwell, Hamilton and Hearts. The Dons scored six goals and conceded two in that three-match sequence and Reynolds knows having both departments functioning well will be key in the second half of the season. He said: “It is a big thing to have a defence playing well and to have confidence in what you’re doing. “We have that, we know we’ve got a solid foundation and have players at the top end of the pitch capable of scoring goals. Reynolds has had less playing time this season due to the increased competition for places but his return to the starting line-up has coincided with the strong end to last year and the former Motherwell player hopes he can hold down a regular place in the side. He said: “It’s difficult. I feel I should be playing every week and I’m ready to play every week. But that’s the manager’s decision and it’s up to me to change his mind and convince him I should be playing and that I can put in a performance for the team. “I’ve still played 20 games this season, so I’ve had some playing time. It’s just hard for me because I’ve always been used to starting 30 to 40 games a season.